The title of SEO article writer was a non-existent position 10 years ago. But recently, especially in the past several years as inbound marketing has become more and more about quality content, the demand for this position has grown enormously! Your writing staff is an essential part of your marketing business – in fact, your writers are the ones who mediate between you and your customers and who create the content that gets people to your site in the first place. 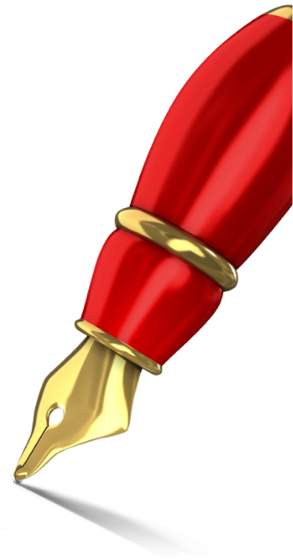 Writers are incredibly important for any business in this day and age of quality, competitive content marketing. So, for that reason, it’s important that you make sure they know what they’re doing. SEO writing is vastly different than writing a novel or news article. It is all about strategically placing certain keywords throughout an article, while still maintaining literary quality. Search engines are smart, so stuffing an article with keyword after keyword is never a good idea (unless you want to be penalized). However, you’re probably not going to get recognized for a keyword if you mention it just once in the regular body text of a page. SEO writing is about finding a strategic balance. When writing SEO content, it is important to use the exact keyword you are targeting several times and then also to change tenses and pluralization when working in latent semantic keywords. Make sure you use the keyword in your title and in any subtitles throughout your article to make sure both the readers and search engines know what they are reading. Along with this, the keyword should be placed into the beginning and ending paragraphs of your article to leave a lasting impression on the reader and strengthen your call to action at the end. Link your article to other pages using the keyword as anchor text to draw your readers deeper into your site’s pages and offers. While this may seem to be using the keyword excessively, each of these uses should not take up much space. Ideally you want your keywords to take up less than four percent of your article so that search engines do not penalize you for overstuffing your article. While there are certainly necessary times to use keywords, an SEO article writer must be able to only use keywords when appropriate and avoid using them excessively, even when they easily go into an article’s wording. Ideally, you want your keywords to take up less than 4% of your article so that search engines do not penalize you for overstuffing your article. Writing SEO articles is an important part of today’s modern marketing team. If you cannot find your way into the heads of your target clientele, they will simply pass you by without a second thought. That is where strategy and understanding come in. By knowing the ins and outs of SEO writing and then putting it to work for your company, you can work with search engines to generate profitable traffic and leads to your site.